New Zealand Education Department, Wellington, 1908. All school journals from 1908 bound in 1 volume. Numbers 1-10 and parts I, II & III. 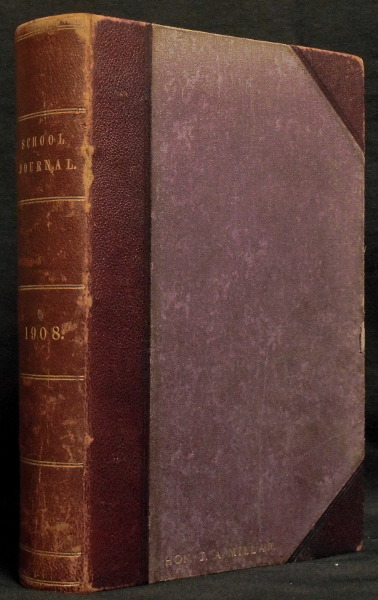 Purple cloth with leather spine and corners. Title on spine and "Hon J.A. MIllar" embossed in gilt on front board. Cloth is faded in places and the front edge is frayed on both boards. Binding is tight with some foxing.